The oldest of four children, Alberto Giacometti was born in 1901 in Switzerland, in a village near the Italian border. His father encouraged him to paint from an early age, and he studied at the Ecole des Beaux-arts in Geneva before leaving for Paris in 1922. Drawn to sculpture, he studied under Antoine Bourdelle at the Académie de la Grande Chaumière and from 1925 exhibited regularly in salons. Still little known, he lived and worked in a small studio tucked away in the 14th arrondissement, where his youn- ger brother Diego joined him in 1930. From then on the brothers worked to- gether, the elder developing ideas, the younger offering support and an extra pair of hands. It was around this time that they met Jean-Michel Frank at the Salon des Tuileries and soon created lamps and other objects for the designer on a regular basis. This collaboration led to a range of strong, highly imaginative pieces, sometimes ever so slightly surreal and always resolutely modern. Des- tined to to be placed or made to order, most were made in plaster and glazed. The spectrum of colours used included pure white, gold, blue, yellow and black. Only the lamps were cast in bronze by the metalworker Alexis Rudier, the cho- sen patinas brown, gold or antique green… These pieces were seen as em- blematic of Frank’s aesthetic, and they were commissioned by some of the most famous collectors of the time: the Noailles, Pierre David-Weill, Elsa Schia- parelli, Guerlain, the Rockefeller family, Jorge Born… Having stayed in Switzerland during the war, Alberto rejoined Diego in Paris in 1945 to find his studio intact. They set to work once again and soon received new commissions. When Jean-Mihel Frank died in 1941, Alberto and Diego recuperated their plaster models. It was the Maeght family who asked them to create a new edition of their now classic bronze lights for their apartment in Avenue Foch. The art dealer Pierre Matisse followed them closely and regularly presented a selection of these pieces in his gallery in New York as early as 1934. In the 1950s, Jacques Adnet decided to commercialise them in his Galerie des arts français in Paris. The success these astonishing sculptural lamps enjoyed did not diminish after the war. In fact the opposite happened, and the greatest collectors, designers and aesthetes continued to covet them. From 1962 on, Diego had the lamps cast under his direction by the Susse brothers. Alberto died in 1966. Fifty years after the sculptor’s death, these works have lost none of their appeal and continue to be sought after by important collectors worldwide. The ‘Figure’ lamp that we are presenting is one of the famous models made for Jean-Michel Frank. The design has lost none of its elegance or modernity; it is as striking now as it was then. 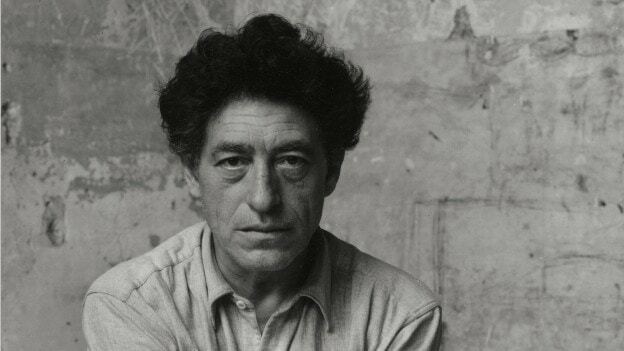 Today, Alberto Giacometti’s works are held in the permanent collections of some of the most prestigious international museums such as the MoMA in San Francisco and New York, the Me- tropolitan Museum of Art, the Guggen- heim Museum, the Centre Pompidou and the Musée des Arts Décoratifs in Paris, and Tate Modern in London. They also appear in the permanent collections of the most famous foundations such as the Fondation Maeght in Saint Paul de Vence, France, the Fondation. Beyeler in Basel, Switzerland, and the Frederick R. Weisman Art Fondation in Los Angeles. Since the 1930s, both Giacometti’s sculptures and his creations for Jean-Michel Frank have kept increasing in value, and this year, that marks fifty years since his death, has seen a new rise, with pieces such as the lamp we are presenting attaining record prices.